The Nikon D850 is perhaps one of the most advanced DSLRs made by Nikon to date. As a result, it comes with a lot of controls and menu settings that might be confusing for many photographers out there. In this article, I will provide information on what settings I personally use and shortly explain what some of the camera buttons and controls do. Please do keep in mind that while these work for me, it does not mean that everyone else should be shooting with exactly the same settings. The below information is provided as a guide for those who struggle with the camera and just want to get started with an understanding of the camera and its many features. Before we go into the camera menu, let’s first check out the exterior controls. The Nikon D850 has a lot of menu options, but there are some things that you can only control via specific buttons and controls. On the front left of the camera, you will find a lever that goes from AF to M, with a button in the middle (big red circle in the image below). Make sure to keep that lever on “AF”, or your lens will not autofocus. If for some reason your lens stops focusing, this is what you need to check first. Pressing the button in the middle of the lever allows to choose between different focus modes. AF-S – this mode is called “Single-servo AF” and it is used only for stationary subjects that do not move. When you half-press the shutter button, autofocus lock on the subject and if the subject moves, the focus will not change, resulting in a blurry picture. Only use this mode for photographing stationary subjects (landscapes, architecture, etc) and when shooting in extremely low-light situations and need the camera to engage the AF assist lamp. AF-C – known as “Continuous-servo AF” in Nikon’s lingo, this setting is used for photographing moving subjects. When you half-press the shutter button and your subject moves, the camera will re-acquire focus. I mostly keep my D850 in AF-C autofocus mode and only switch to AF-S in some situations. If you cannot decide which one to start with, I would recommend to go with the AF-C mode for continuous tracking instead of AF-S.
Now if you rotate the front dial with your index finger while holding the same button, you will get many different options like “S”, “D 9”, “D 25”, “D 72”, “D 153”, “3D”, “GrP” and “Auto”. These settings are there for controlling the focus points that you see inside the viewfinder. Once again, most of these are already explained in detail in my autofocus modes explained article, so I won’t go into too much detail here. If you don’t know where to start, keep it on “S” (Single), which lets you choose one single focus point that the camera will use for focusing. Let’s move on to other external controls. 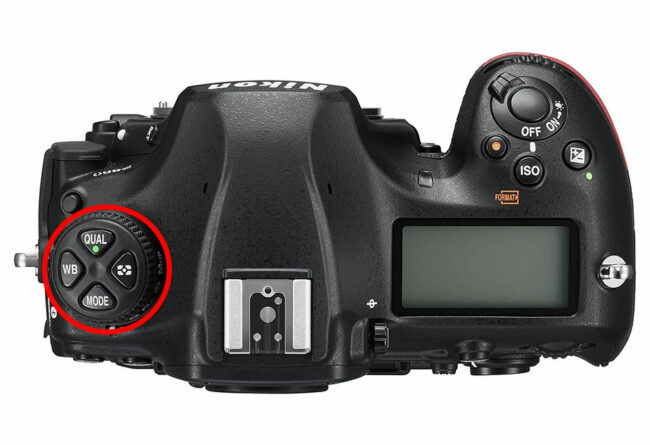 Right above the AF / M lever, you will find the BKT (Bracketing) button to set up bracketing on the camera. Make sure that bracketing is turned off by holding the button and checking the top camera LCD. It should show “0F” on the left side, which means that bracketing is inactive (the “BKT” letters should also disappear). Using the front dial will allow changing bracketing steps and the rear dial will change the number of frames shot in a bracketing sequence. The Nikon D850 allows bracketing up to 9 frames and up to 3 stops (EV) apart. However, in order to do 3 EV bracketing, you can only enable 5 frames of bracketing or fewer. The dial has a bunch of shooting modes like “S” (Single), “Cl, Ch” (Continuous low and Continuous high), “Q” (Quiet), “Qc” (Quiet continuous), Timer and Mup (Mirror Up). For day-to-day shooting, mine is usually set to “S” which only fires a single shot when I press the shutter release button. However, when shooting landscapes, my preferred shooting mode is now “Q” (Quiet), since it can take advantage of the Electronic Front Curtain (EFCS) feature to eliminate camera shake, which I will talk about below. The nice thing is, you can combine the “Q” mode with “Exposure Delay Mode” (more on that below as well), which allows the camera to wait for up to 3 seconds before the exposure starts, eliminating camera shake from physically triggering the camera shutter. The camera behaves similarly in “Mup” (Mirror Up) mode, but there is one main difference – when shooting regularly, one has to trigger the shutter release twice, whereas when shooting in Live View, the camera will take a picture after a single release. This is a changed behavior in the way Mirror Up functions, as other Nikon cameras require you to press the Mup button twice, no matter if you are shooting in Live View mode or not. Just like the “Q” mode, “Mup” also allows taking advantage of the Exposure Delay feature. When shooting action such as sports and wildlife, shooting a single image would not be very helpful and that’s where the “Continuous low” and “Continuous high modes” come into play. Unless you want to deliberately slow down the shooting speed of the camera, you should always choose “Continuous high”, so that the camera shoots at its maximum speed of either 7 fps or 9 fps (when a battery grip + larger battery are attached). I rarely use other shooting modes, although the Self-Timer mode is still nice to resort to when shooting a sequence of bracketed images. The top buttons are great for quickly changing important settings like Camera Mode, Metering and White Balance. 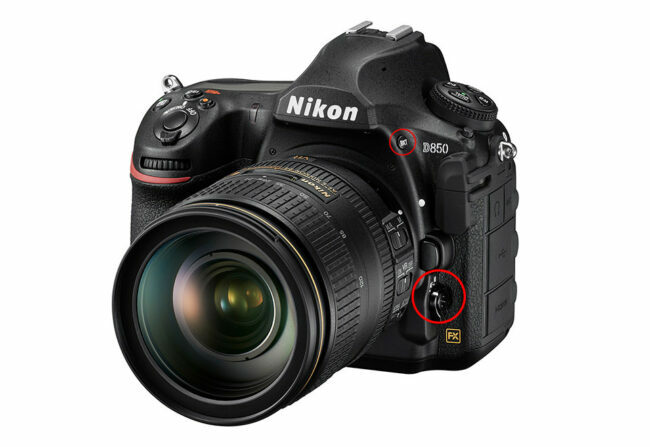 Nikon has moved the “MODE” button from the right side of the top of the camera to this area, so you now have to use two hands in order to change the camera mode (keep in mind that unlike other cameras that typically feature a traditional “PASM” dial, the Nikon D850 does not have such dial and requires using this MODE button instead). So if you need to switch between different camera modes, you need to hold the MODE button with your left hand, then rotate the rear dial. Doing so will reveal 4 different modes: “P” (Program Auto), “S” (Shutter Priority), “A” (Aperture Priority) and “M” (Manual). I mostly rely on Aperture Priority and Manual modes when shooting with the Nikon D850. The exposure compensation button nicely complements the Aperture Priority mode, however, keep in mind that the D850 no longer has a dedicated AE-L / AF-L button, so if you need to lock exposure, you will need to assign another button such as the joystick to do that (instructions on how to do that are provided below). The “WB” button is there for setting/changing white balance. The rear dial allows you to change white balance, while the front dial allows fine-tuning it. The Nikon D850 comes with three Auto white balance modes: Auto0, Auto1 and Auto2. Auto0 reduces warm colors, Auto2 keeps warm colors, whereas Auto1 sets it to normal. I personally keep mine at Auto1, but depending on how cool or warm you want your images to be, you might want to look into Auto0 and Auto2 as well. I am not a fan of the “QUAL” button and its location, since I have accidentally switched my image quality format a few times in the past, so be careful with this one. Lastly, to change your metering mode, press and hold the metering button (four squares with a dot in the middle), then rotate the rear dial. Unless situation calls for it, I keep mine in Matrix Metering by default. To the right of the shooting mode dial, you will find three buttons: “ISO” for changing camera ISO, a video recording button (with a red dot) and Exposure Compensation button. I practically rarely ever record videos, so the two most used buttons here are ISO and Exposure Compensation. The ISO button allows quick change of ISO if you use the rear dial, and the front dial allows switching Auto ISO on and off. While I like the ability to quickly turn Auto ISO on and off, I typically end up mapping the Fn (Function) button on the front of the camera to Auto ISO settings, so that I can make changes to maximum sensitivity and minimum shutter speed (see my notes below under Custom Setting Menu). Exposure Compensation works in a similar way as ISO, except the front dial is deactivated and the rear dial is what you use to tweak your exposure. I rarely ever touch anything in the Playback menu, since that’s only used for displaying pictures on the rear LCD. The only two settings that I ever mess with are “Playback display options” and “Rotate tall”. The “Playback display options” can be useful when reviewing images. When you press the playback button on the back of the camera, you can press up/down buttons and you will be able to see different types of information. To keep the clutter out, I have three things turned on: “Focus point”, which allows me to see where I focused, “Highlights” to show overexposure in shots (a.k.a. “blinkies”) and “Overview”, which gives me a summary of my exposure (shutter speed, aperture, ISO, focal length, etc). I always turn the “Rotate tall” setting off, because I do not want my camera to rotate vertical images to horizontal when I review them – it is much easier to rotate the camera to see a vertical image, rather than having to zoom in every single time. Everything else is default. Menu banks are separate for “Shooting Menu” and for “Custom Setting Menu” sections, which means that one would have to store settings in two places and when a change is needed, also have to remember to change in two places. There is no single place to store all camera settings. There is no button on the camera to be able to instantly select a bank. The quickest way is to press the “i” button on the back, then choose a different bank for “Photo shooting menu bank” or “Custom settings bank”. Lower-end Nikon DSLRs like D610/D750 are much better in this regard, because they have U1 and U2 options right on the PASM dial. There is no way to save menu banks. Yup, menu banks are supposed to be “memory” banks that allow one to store specific settings. If you pick a specific bank and then end up changing any of the settings, those settings will be preserved, which completely defeats the purpose of memory banks. Enough of ranting, let’s move on to other shooting menu settings. The next important setting is “Secondary slot function”, which allows you to choose a role for the second card slot when shooting with multiple cards. You can set the camera to save images in three different ways. You can set it to “Overflow”, which basically saves images to the first card, then when the space runs out, the camera starts saving to the second card. I usually set mine to Overflow, unless I am working on something really important and need to backup images. And speaking of backup/redundancy, that’s what you use the second setting “Backup” for. Once selected, the camera will save photos to both memory cards at the same time. The last setting allows you to save RAW files to one card and JPEG files to another. For your day to day shooting, just leave it on “Overflow” and if you really need to make sure that your photos are not lost if one of the cards fails, then choose “Backup”. “Image quality” is obviously set to RAW, since you should always be shooting in RAW. “NEF (RAW) recording” is always set on mine to 14-bit Lossless Compressed. I choose 14-bit to get the best image quality the camera can deliver and “Lossless” compression results in much smaller files than “Uncompressed”. “White Balance” is Auto and all other settings like Picture Controls, Active D-Lighting, HDR, etc. are turned off, since none of them (with the exception of “Long Exposure NR”) affect RAW images. Remember, RAW files contain non-manipulated data and require post-processing, so the above settings only impact images displayed by your camera’s LCD screen (each RAW file contains a full-size JPEG image, which is what is used to display images on the LCD) and if you use Nikon’s proprietary software like Capture NX-D, those settings can be applied to RAW images automatically. Since I use other third party software to store and process my images, the second part does not apply to me. Everything else is turned off. Although color space does not matter for RAW files, I use AdobeRGB because it gives a slightly more accurate histogram (since the camera shows histograms based on camera-rendered JPEG images, even if you shoot exclusively in RAW). The big menu setting that I frequently change is “ISO sensitivity settings”. When shooting hand-held, I mostly use Auto ISO, because it is a great feature that saves me a lot of time. Instead of specifying ISO for every shot, I just have it set on Auto, with its base ISO set to 64, Maximum sensitivity set to 3200 (my personal limit for “acceptable” noise levels) and Minimum shutter speed set to “Auto”. The “Auto” minimum shutter speed setting is great, because it reads the focal length of the attached lens and automatically adjusts the minimum shutter speed to the focal length of the lens. If you have shaky hands, you can change the Minimum shutter speed Auto to be one step closer to “Faster”, which basically doubles the minimum shutter speed. For example, if I have a 50mm lens mounted on the camera, my minimum shutter speed will go from 1/50 to 1/100 of a second with one step up. If I move it all the way to the end (Faster), it will double the shutter speed again to 1/200 of a second. When using a Vibration Reduction (VR) lens, I often lower the “Auto” minimum shutter speed to “Slower”. Unfortunately, Nikon has not yet implemented a way to automatically compensate for VR, so you have to adjust this setting based on the lens you are using. When photographing landscapes or architecture with the camera mounted on a tripod, I turn Auto ISO off and use ISO 64 for the highest dynamic range and lowest noise levels. I am not going to go through the movie recording features, because it highly depends on what you are trying to do. Some of the features won’t work depending on whether you shoot in 4K or 1080p, so if you see anything grayed out or not working, you might need to switch to 1080p video capture in order to enable them. Once again, I won’t go into details about each setting, so let me just go over the most important ones that you should know about. The “Autofocus” section is pretty important, because it controls the way your camera autofocus is configured. The first two settings “AF-C priority selection” and “AF-S priority selection” are there to assist in shooting in Single or Continuous modes. I personally prefer to set the “AF-C priority selection” to “Release + focus”, which puts priority on focusing after the first shot. However, this can reduce your continuous shooting speed when the subject is not in focus, so if you are planning to use the D850 to capture fast action, it is probably best to leave it at the default “Release” option. The “Focus” setting in the “AF-S priority selection” selection forces the camera to acquire focus before taking the shot. Unlike earlier DSLRs like Nikon D700, the D850 will still let you take a shot if you “focus and recompose” in AF-S mode. The next setting is “Focus tracking with lock-on”, which I normally keep at the default setting of “3” for “Blocked shot AF response”. This setting controls how quickly your autofocus will re-engage when it detects focus errors. When shooting birds in flight, I tend to reduce that setting to short delays, because I want autofocus to re-engage even with smaller changes. The rest of the time, I keep it in normal and almost never go up to long waits. “Subject motion” is set to the middle by default, which works pretty well, but you might want to change this depending on whether the subject movement is steady or erratic. I like keeping Face detection on for focusing, so 3D-tracking face-detection is turned on, while the watch area is set to “Wide”. I like storing focus points for vertical and horizontal shooting separately, so “Store by orientation” is set to Focus point. The “AF activation” setting on my D850 is always set to “OFF” (AF-ON only) to allow me to use the dedicated AF-ON button on the back for focusing. If you have not read my article on the Focus and Recompose technique, now is a good time to do it, because it explains this feature in detail. Basically, once you switch the autofocus function from your shutter release (half-press) to the AF-ON button on the back of the camera, your camera will no longer autofocus through the shutter release button and will only respond to depressing the rear AF-ON button. It is a neat feature that I always use by default on all of my cameras. I do not like when my focus points roll over to the other side of the screen when I am in the corners and I like to shoot with all focus points enabled, so my “Focus point wrap-around” is turned off and “Focus point options” are kept at their default settings. If you shoot sports or wildlife, the D850 has a couple of menu settings to limit the number of focusing options, which is nice. This is known as “Limit AF-area mode selection”. If you never shoot in say Dynamic-area AF 9 points or 3D-tracking, you can now disable those in the menu. Once you do that, pressing the AF-area mode button on the front of the camera will not show those options, which is neat! The same goes for “Autofocus mode restrictions” – if you never shoot in AF-S, you can now turn it off completely to prevent potential focusing issues in the field. I never mess with any of the “Metering/exposure” settings, so I would just recommend to leave them at default values. I would also skip the whole “Timers/AE lock” sub-section, aside from perhaps the “Self-timer” option, which I normally set to either 2 or 5 seconds. Under “Shooting/display”, the two main settings are to note are “Exposure delay mode” and “Electronic front-curtain shutter“. The former option is very important, because it allows one to set a delay before each time an image is captured, which can help completely eliminate camera shake. Basically, with “Exposure delay mode” turned on, the camera first lifts the camera mirror (which generates a lot of vibrations), then waits a specified amount of time and only then opens up the shutter to capture the image. The nice thing is, you can specify up to 3 seconds of delay, which can completely eliminate the dreaded “mirror slap”. So if you do not have a camera remote (remote cable release) with you, you can use this feature to reduce camera shake and it works really well. You can use it in conjunction with the Self-timer feature, or better yet, if you use either the Mirror Up or one of the Quiet shutter release modes, once the “Electronic front-curtain shutter” is turned on, you can completely eliminate vibrations from both mirror slap and the camera shutter! This is a great feature that I highly recommend to use when photographing landscapes and architecture in low light conditions / very slow shutter speeds. Thankfully, Nikon has added the ability to use the Electronic front-curtain feature with the Quiet shutter release modes, so I would suggest keeping your camera on the “Q” release mode by default if all you do is shoot landscapes / architecture. If you often use the camera’s Live View for focusing (which you should), my recommended approach would be to default to Mirror Up. Nikon has changed the way this feature works on the D850 – you no longer have to press the shutter release twice as you had to on previous generation Nikon DSLRs. Now with Live View fired up, you simply press the shutter release once and the camera will take a picture. Combine this with the “Exposure delay mode” or “Silent live view photography” and you will end up with zero vibration from the camera – you will only need to watch out for wind and tripod stability, as all other camera vibrations will be eliminated. If you are planning to use the focus peaking feature in Live View, I would recommend to set your desired color. For me, the Red color works the best, but it will all depend on the color of the subject you are photographing, so make sure to select the appropriate color from this menu. The “Controls” section is something I always change, because there are some time-saving features there. First of all, go through the “Custom control assignment” section and pick your favorite selections for each assignable button. For me, the key features are Fn1 button, which I default to Exposure delay mode (you can press the button and rotate the rear dial to toggle between different delay modes), so that I can quickly pick a specific delay without going into the camera menu. Next, I assign the Fn2 button to “MY MENU”, so that I can quickly access anything I need from the MY MENU section (you can add any menu options to that area). Since the AE / AF lock button is now gone, it is best to set the joystick to take over that function – all you have to do is press the joystick button and hold it when you want to lock down the exposure and focus (say when doing panoramas). Lastly, I am still a bit too used to having the “MODE” button on top of the camera, so I set the Movie record button to serve that function, which is nice, because I don’t lose the movie recording button anyway if I were to switch to movie mode in Live View. This way, I can still change the camera mode using just the right hand. The “Multi selector center button” is now set by default to zoom into the image when you press it in playback mode, which is nice! However, make sure that it is set to 1:1 magnification, since the default is 50%. If you find yourself frustrated by constantly pressing the zoom in button until you get to the right magnification level, then you will absolutely love this feature. It literally saves 6 zoom in button presses! I would skip the rest of the Controls section and keep it all in default and if you shoot video, take a look at the Custom control assignment under “Movie” to make sure that the function buttons are set to your liking. Not much to go over here, because this is the area that you will only use for particular tasks like setting time/date, adding image comments, adjusting LCD brightness, formatting memory card, etc. The only thing I would do is set up “Image comment” and “Copyright information”. Basically, these settings add text information that gets embedded into each photograph. If you ever happen to lose your memory card somewhere (which I personally have in the past) and someone finds it (let’s just assume that you have no labels on the card with your info) leaving your Copyright and/or Name could help big time in finding/locating you. Plus, you are writing data into RAW files, so if you ever needed to prove that you are the author of a photograph, the RAW file along with your contact info could make for great evidence. If you are planning to use the WiFi features of the camera to send images to a smartphone or a tablet, you will find all the available menu options here, as well as other options such as enabling touch controls on the LCD. Make sure to add a few important items under “MY MENU”, so that you can have quick access to them. Personally, I add a few menu options here such as “ISO sensitivity settings”, “Interval timer shooting”, “Focus shift shooting” and “Exposure delay mode”, but that’s all a matter of preference. Lastly, don’t forget that you have the feature to automatically calibrate your lenses. You will need your camera set up on a tripod, with a high-contrast subject set to desired distance, then you need to fire up Live View, press the AF mode button on the side of the camera and the video recording button at the same time, and after holding the two for a few seconds, you will receive a notification on the screen. Press “Yes” and the lens should automatically calibrate. If you want to find out about how AF micro adjustment works, see my article on lens calibration. Canon shooter me is quite interested in this camera, mainly because of the sensor. I shoot the 5DSR and I cannot stand the awful noise above ISO 3200 (which I usually exceed in my wildlife shots). I just wonder if the learning curve is going to be steep, as I am so used to the Canon layout. I remember when a friend of mine asked me to take a shot with his Nikon camera (one of the crop sensor models), could not even figure out how to change the ISO. I guess it just takes practice, but I wish there was more uniformity between manufacturers. It’s useful to assign your main profiles in the Photo Shooting PhotoMenu banks (A-D), which can be labelled Wildlife, Landscapes, Macro etc. ADD this setting into my MyMenu activated by the Fn2 button. Also add other often accessed menu items Battery Info, Non-CPU lenses etc. As with the D500, assign your core controls to Buttons. I use the Fn and DoF preview buttons for AFc + spot focus with AFc + d25 on back-button Focus. The LiveView “menu” of settings is the real cow’s guts – an encrypted mess. Nikon seem to have devoted much effort to bewilder users. I’ve used Nikon since 1984 but it took me a while to figure out how to show the live histogram – toggle i and Info buttons with the OK button! I stated on a 7D Mk II for my wildlife photography and then got the D810 (which is currently in the upgrade process with Jessops to be changed for the D850). At first, I couldn’t fathom all the different settings, as Canon seemed easier, since it was the one I was more familiar with, but after two days of shooting with the D810, it became second nature that quickly. Remember, most settings in the full menu, you don’t actually need to change too often. so ISO, shutter speeds and exposure and perhaps changing Focus modes will be the main thing to do and they are all easily accessible via the top left dial. Also, when it comes to focusing, I don’t change it on the camera, that stays AF, but change it on the lens. Which brings me to perhaps the best feature of Nikon prime lenses I have: Autofocus with manual override at any point. It is amazing. So from one guy who has taken the plunge already, don’t worry about it and get the D850, you’ll get used to it very quickly! Thanks for the pointers, Nasim. I’ll undoubtedly return to this post for help with quicker set up when I get my d850 (whenever that is). I was wondering if you might recommend a good remote trigger. Since I do a lot of long exposure tripod shots I’ll need a good one. I’m really going to miss the ease of use I enjoyed with the little IR remote for my d610. Sean, unless you need to time exact exposure length via a remote trigger, you really don’t need one on the D850 – you can use the — mode in Manual, which will start the exposure. You squeeze the shutter once and the shutter is open, then the second time is going to end the exposure. You can use your phone’s timer to time each exposure. Nasim, I noticed that in the Custom Settings Menu for Autofocus, the first two settings selection you have chosen are AF-C ‘Release’, and AF-S ‘Focus’. In the D810 settings article, you chose ‘Release + Focus’ for the AF-C setting. I wonder why you have changed your mind on this. The reason I ask is that for a while I had chosen ‘Release’ for my D810 AF-C (and AF-S) and it didn’t always work out well, so I switched to ‘Release + Focus’, which doesn’t always work out well either. So now I am debating what to do. Can you explain your choice, please? Elaine, because the D810 is not a sports camera and its fps is quite low compared to the D850. With the D850, you want to shoot as fast as possible at 7+ fps, which is why it is best to let the camera fire instead of trying to acquire focus first. The D850 has a more robust AF system compared to the D810. thanks for your great reviews and the independent voices on your site. “.. here’s where I was scratching my head for a bit until I showed it to a veteran Nikon shooter and he agreed with me. The Nikon D850 in my opinion is slower to autofocus than the Nikon D810 by just a bit. Even so, when using the alternative F5.6 effective aperture on a 500F4 with 1.4 teleconverter, I am still seeing slightly superior focus times with the D500, exactly as I would expect. Obviously then, Mr Gampat’s observation, apparently backed up by another unnamed reviewer, is disturbing. PS – while the settings menu in Nikon’s high end cameras is annoying, coming originally from a D7000 and then D600, I find that I just have my 4 banks set up as I like for Birds/action, People, Landscapes, Lens calibration, I don’t recall or need to recall which bunch of settings is in which sub-menu, hitting the “i” button and swapping between the 4 named alternatives (twice) is almost :) as quick as looking at the top button and remembering which stored menu is which. Cannot confirm the D810 being faster to AF, on the contrary: I’m very surprised how much 3D AF-C is glued to the chosen object with the D850, and how quick the Tamron 150-600 as well as the Nikkor 300/4 PF E locks in. All in all I had to adjust less than with the D810 to get the focus to where I want it – being the Nikkor 300 the worst at +16. Richard, the AF system on the D810 is not even comparable to that of the D850 – the latter is far superior in comparison, especially when it comes to focusing in low light. However, keep in mind that the D850 has a lot more pixels to process when shooting, so in between the bursts the CPU is quite a bit more loaded than on the D500 or the D5, so focusing on those might be more reliable depending on what you are shooting. Have you checked the D850s that you have for a misaligned sensor or incorrect flange distance as discussed at diglloyd.com? Ron, I have two D850s that I am shooting with and none of them have any problems with the lenses that I am using. If this was a big issue, you would be hearing about it from many photographers who shoot with the D850. Nasim, why did you set “Extended menu banks: OFF”? I admit I use them because they are there to be used, but some of them actually do make sense to me to use in one or another way. As you, I also was missing the U1/U2 settings, but after I switched to D800 I started to accept the banks as something easier to use; and it’s 4 of them in normal and extended menus. Depending how I name them, I feel more flexible than with only two U settings. But the concept is badly explained in theri manuals. That’s because I don’t use menu banks on Nikon’s high-end cameras – they are practically useless, as explained in the article. The biggest issue with menu banks, is that aside from a very inconvenient way of selecting them, if you change any of the settings, they are changed in the menu bank – there is no way to permanently set any settings! See the discussion at “http://onlinemanual.nikonimglib.com/d850/en/18_menu_guide_06_33.html”. Almost all camera settings, including the menu banks, can be saved to a data card in the primary slot. Set the camera up using all four banks, then save the settings to a dedicated card. If you change the settings, just insert the card into the primary slot and “load” the settings. It is very easy once you have done it a few times. I keep a dedicated 8gb card labeled “D850 Settings”. Having used Nikon for the last 25 years, and Canon for the last 5, I would say that both are fine once you’ve got to know them. It’s quite interesting to see that the current Nikon menus are only a little changed to the bodies of 10 years ago. When first adding a Canon body I thought that the logic wasn’t as good as Nikon, but after a few weeks I was just as fast with either make. It’s amazing that an old brain can still learn new stuff! One thing that almost drives me crazy with Canon’s is that you can’t instantly zoom or scroll preview shots, you have to go back into the replay mode. On the other hand, why did Nikon abandon the one click i, two click info quick menu? Sometimes I think that CaNikon agree not too overlap little things like that to protect the duopoly. I notice you have the Exposure Standby Timer at 6s. I’m currently experimenting with that as the slight delay on accessing pictures or menus is a little annoying. I will let you know what the impact on the battery life is leaving that on ‘No Limit’ for instant playback / menu response. Just reporting back on the D500 performance with the standby timer on 30 mins (rather than the 6s suggested above for D850). Basically very little difference in battery life. 1,200 shots on one charge is about normal for the D500 I find. This means that you can have instant access to everything, rather than having the minor delay accessing menus, playback etc. I also noticed that all functions seemed to operate quicker, including things like the preview appearing after a shot. Assuming there is no damage caused to the metering circuitry by leaving it on for long periods, then I can’t see any reason not to select a long setting unless you are know you’ll be having large pauses between shots. I only wouldn’t select ‘always on’, rather use 30-mins instead, in case I forgot to turn the camera off at the end of the day. Thanks so much for your detailed explanation. Really appreciate it. Which autofocus modes activate face recognition? I almost sold my Nikons to switch to Sony until one of your articles pointed out that the Nikons do offer face recognition when you get the focus mode set up in a particular way. Thank you. AF-C or -S with 3D-tracking (if set up in extended menu) and AF-Auto – would be my conclusion of what I read in the manual. Sad that it’s so tricky to set up face recognition. On Sony it’s obvious and might even be the default. I wonder how many Nikon users switched to Sony thinking there was no face recognition on Nikon. I owned my Nikon full frame cameras for two and a half years before learning that they have workable face recognition. I actually took my Sony a6000 to photograph concerts rather than the full frame Nikons just for that purpose (to focus on face rather than microphone). Burying a feature deep in a manual is almost equivalent to not having it at all. Honestly, Art: face recognition is nice to have, but eye recognition would be cool. And 3D-tracking also tracks an eye, so I have to say although I do some portrait work, I never missed face recognition. And I hardly use it on my Fujifilm bodies. What are the best Nikon lenses for the new 850? Sam, many lenses that work well on the D810 will work equally well on the D850. I like to use only the right hand to change of MODE ; I assign to the video button the MODE function. Easy ! I have the mode, iso & exposure very close also. Same here, I assigned the video button to MODE, so that I can quickly change the camera mode without having to use two hands. Very handy! When doing auto bracketing with a 2 sec delay to fire off 3 shots -2, 0 +2 at 0.5 sec apart will the Q mode or Q(c) mode work in this scenario. I find that even with a tripod on my D800 when using shutter settings in the range of 1/15 to 1/30 that my pictures are not sharp. Slower and faster shutter settings don’t show this problem in sharpening. Suggestions? Will the D850 be better in this regard? Sure. Use electronic silent shutter in LiveView. No vibration at all. The D800/E are the worst vibration sources in this family of camera bodies, the D810 so far the best. Q-mode with mechanical shutter is kind of disappointment after the silky sound of the D810. Hi Nasim, are you going to review Nikkor 28 f1.4 and compare it with 28 f1.8? I’m curious if it is worth to spend much more money for the new Nikon glass. Piter, yes, I will be reviewing that lens and compare it to its f/1.8 counterpart. I will be working on a review in the next few weeks. Can you recommend a good book to read about the D850? I had one for the D750 (which I don’t have anymore) called Nikon D750 Experience by Douglas Klostermann. So far, I’ve only seen a few available for pre-order on the D850. My camera is still on Backorder and I have no idea when I’ll get it, but it would be nice to start poking through a book right away! P.S. – That wasn’t meant as a slam to your articles!!! I thoroughly enjoy your site and feel you post very valuable content! Keep up the good work! No worries, I understand. I think Thom Hogan is known for writing good reference material for Nikon DSLRs. Not sure if he has published one for the D850 though. I have been using the D850 for just over a week and my initial impressions are that the image quality is a significant improvement on the D810. One of the features that initially excited me was the new tilting screen and the ability to navigate the focus point (AF-Area) around the whole scene/screen (up to the edges of the frame) in live view and shoot silent . Has anyone else experienced this issue, or must I just rely on manual focus in live view, which I might add is a pleasure to use given the new screen resolution and definition. Peter, what kind of subject are you shooting? If the subject moves, then you should not be using live view, since contrast-detect AF is very slow and it cannot cope with any movement. For still subjects, I find live view focusing to work quite well most of the time – there are exceptions, such as when there isn’t enough contrast detected in the area where the AF point is on. Always make sure that you put the focus point in an area with high contrast edges, so that the AF system can use that to lock on focus. He he he…Nasim you never miss a chance to diss the memory bank system and I agree it needs a bit of refreshing. I rely on the memory banks a lot for stuff that would otherwise get forgotten or take up time on scene. I set my banks up quite differently to most and not as two parallel systems. Workflow makes quite a difference in choice of settings too. If you post process with software that strips out Nikon’s raw enhancements then the banks definitely don’t offer as much usefulness. As an amateur who would rather spend money on glass than software, I use VNX, NXD, CNX2 which retains the raw adjustments made in-camera so the banks help a bit to reduce computer time. It is possible to save the banks to the SD card as a backup or for unifying them between multiple bodies – but this is a very clumsy way to save and restore them. Two major changes that could improve the bank system would be make them more easily selectable and to provide some means for retaining one’s original presets if you make adjustments during a shoot. A basic outline of my settings below. You can pick any Shooting setting with any Custom setting but some combinations are not useful. D: Tripod ( landscape, macro, off-camera flash setups) Auto ISO = OFF, ISO 64, LENR = ON etc. Years ago before the D850 arrived or the D500 was announced I already thought why can’t I have in-camera AF-adjustment or focus-stacking – and voila, it happened! Only couple of years later… would have been cool if they had finished it: Focus stacking at PhaseOne cameras is like: setting the start AND the end point of the distance and let the software calculate the number of shots at a given aperture. Also, a better AFMA would check more than one distance and save it. It would also use more than only one shot to aquire a good value. Now I already think why can’t I use the WiFi, connect the camera to my Mac or tablet and set up all these gazillions of parameters in a much better overview? Save them without bothering memory cards? However that should be still possible. I’d love to have a kind of a switchboard, which explains settings (if they are unclear) and puts all 4 banks side by side, so I can make my decisions in one go. And, if they make it perfect, I would be able to exchange a single bank (like “weddings” to “underwater” I realize the banks are basically the customizable special effects modes. Thank you for your feedback. 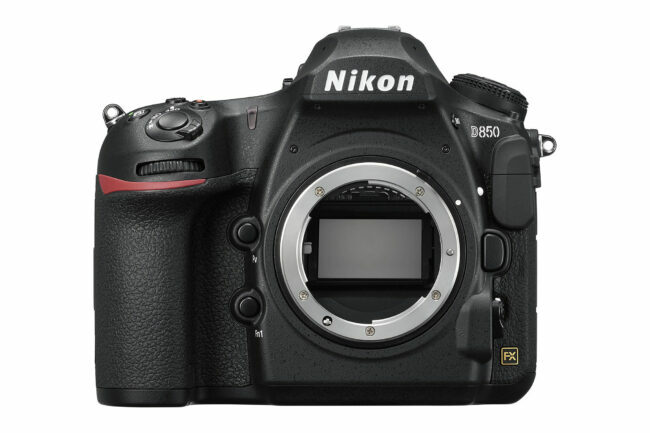 Nikon needs to make two significant changes to the menu bank system to make them useful: allow for a quick way to change between menu banks using a single button – for example, changing from menu bank A to B should change it across all menu banks in the camera, Second, Nikon must allow saving a menu bank so that its settings cannot be overridden by the user. If these two things are done, the menu bank system will be usable. However, using the camera on tripod, AF-S and AF-ON, it always was spot on. The information in this sentence I missed in your post, mind you, none of us has an idea whicb settings are your normal one, so normal you don’t even talk about them. I’ve found clicking/tapping the light blue word “Reply” at the end of each comment to be much easier than learning how to write meaningful comments. I’ve also noticed that those who cannot complete this simple task have a strong tendency to blame others for their inability to perform this simple task. Yeah, I can see that in your comment, it’s a challenge to write something meaningful :) . But don’t give up too soon, it just needs practice. First targeting the blue word and after some time, you never know… I also try to manage the next state: Checking the box, “I’m no robot” but who am I to know? Some robots are programmed to think they are no robots. I’ll check the box, but I can’t guarantee. Until Nikon has on-sensor phase detection system, I wouldn’t worry about using live view in combination with the touchscreen. On a tripod, I find it is best to zoom in to the desired area and use AF-ON to focus on the selected area, rather than using the finger on touchscreen to select the area of focus. It is far more precise to focus the old way. The “Focus” setting in the “AF-S priority selection” selection forces the camera to acquire focus before taking the shot. Unlike earlier DSLRs like Nikon D700, the D850 will still let you take a shot if you “focus and recompose” in AF-S mode. I tried this, and verified that it’s true. You recommend setting “AF-S priority selection” (custom setting a2) to “Focus”. But for those of us who routinely use back button focusing (custom setting a8 OFF), is there any reason to choose Focus priority for AF-S? If I focus and recompose with the selected AF point now covering an object at a different distance, the shutter is going to release anyway. If the AF point stays on subject, but subject moves to a different distance, the shutter will still fire. So how is that different than Release priority? Julian, I always recommend to set AF-S to “Focus” instead of release, because I use this mode when I want to make sure that my subject is in focus. “Release” will fire the camera shutter even if the AF system completely fails to acquire focus, whereas “Focus” will only release if focusing was previously achieved. It doesn’t matter if you are using back-button focusing for this – if the system fails to acquire AF, the camera will not fire. Don’t forget, if you cannot stretch to the price of this one, the predecessor D810 is now available at around a third off the original price, I got one a month ago at a very keen price and it has many of the features you’ll find on the D850, particularly if you are a stills shooter as many of us are. The D850 at current prices would cost me DOUBLE what the D810 costs now, new, and remember that TIPA named the D810 as the professional grade camera of the year in 2014, and you won’t have to worry so much about being able to find software to post process. A brilliant camera still, even though the D850 is here, if you are not going to print HUGE enlargements, or, crop into an image very severely, the D810, as far as stills go, is a wonderful choice. I don’t shoot video, at all, so I can’t comment with accuracy, but reviews tell us that for video use, the D850 is as good as it gets, if it has Nikon on the front. Since I got the D850, the only thing I miss from D810 is the quieter shutter sound in some situations. Everything else… well at least for me the added costs are a good value for what I got more. So now it is coming out (watch Matt Granger – an experienced NIkon user’s tests) that Nikon’s claims of buffer depth are woefully overstated, even less useable than the D810, at less than half what is claimed. I have checked Nikon’s claims of buffer depth from their published manual, and they are in the order of 50 shots – depending on your compression option. As a Nikon user contemplating upgrading to the D850, I am very disappointed that Nikon again seems to stuff something up with every release of a new model. I would appreciate your review of this apparent misleading and deceptive conduct by Nikon when you test yours. This won’t be critical to many users, but is important for wildlife photography (let alone sports) after all, this buffer ability was one of the claims to fame of the D5 and D500. While it might be unreasonable to expect the D850 to match these, it is perfectly reasonable that it might actually achieve what is claimed, an improvement on the D810 – alas it appears to be worse than that camera. See forum.opticallimits.com/index…0/?p=43353 becasue I don’t want to type it again. 51 or 49, who really cares? Richard, I wouldn’t worry about such claims. If Nikon says that the buffer is 50 shots, it is certainly not based on a lie. Just need to use the right XQD card that can sustain fast write speeds in order to get the best performance. Remember, camera buffer numbers are not just based on temporary memory space the camera has – memory card and its speed are very important to achieve buffer numbers. In fact, you will find that you can easily exceed the published specs when newer and faster memory cards become available! Nasim, This essay seems to have gotten lost in your travel activities. Many people, including myself, have asked questions and not one of them has been answered. Perhaps you could return to this essay and respond to the posts? I know we would all appreciate it and be grateful. Btw, all your travel photos are gorgeous! Elaine, I apologize – been traveling a lot and I have not had a chance to respond to a lot of the questions from other articles, including this one. Trying to catch up now. Have you had the AF-C stop working on the D850? Mine now ONLY tracks (focus points jumping around) in 3D Tracking AF and Auto AF. However, when I tried using the AF-C feature with five Nikkor lenses with S, d9, d25, d72, d153, and GRP, no tracking (focus points jumping around) seemed to work unless I manually moved them with the joystick on the back of the camera. I have the AF position Lock is on the dot on the back of the camera, each lens is set for M/A, the AF-C priority is set to Release, so the tracking should be working for the aftermentioned, right? As an attempted remedy, I reset the camera settings, turned off the camera, pulled the battery out thinking that these steps might restore its AF-C functions. No success. Can you or anyone else make a suggestion? Thank you Nasim. You’re set advice on the D850 has saved me much time and frustration, as you did when I bought the D810. I really appreciate it. Your insights allow me to get to making photos faster and more effectively. Please discuss in detail regarding setting of Nikon D850 for bird photography. Thank you Nasim. As always, your guide to setting up the D850 is informative and educational. You’ve certainly made it easier for me, and many others, to optimize setting up the camera to take even better images. I have also incorporated your advice on setting up the D7100 which made a significant difference in productivity. Now to my question…did you ever post a “Recommended Settings for the Nikon D3S”? I know it used to be a favorite of yours and I still use mine as a backup for event shooting and weddings. I would love to know what your general settings are/were. As old as it is, I am sure there are a multitude of D3S users who would also be interested. Keep up the fantastic work… you’re the best! I am little confused, When i switch my nikon D850 into Live view and shoot, image goes to Small and turns to DX format ? Is this how it is designed or am i doing something wrong? Lokesh, you probably have DX mode enabled in your camera – you need to switch back to FX (you can do that from the live view screen by pressing the “i” button). Also, make sure that you are in camera live view mode, not video live view (switch on the back of the camera). Hi Nasim, which ‘Metering Mode’ do you prefer most and why? For Birds stationery , in flight, for Portrait with large aperture to blur out background, for Portrait to include clarity of background ( keeping in mind that the subject , bird or portrait subject, gets proper exposure). I use the multiselector center button to view the composite histogram, since the D850 has another button that will allow a one button press to see a 100% magnification of the image.. Just press and hold the zoom/magnification button. It will zoom in and stop at the 100% view. I just bought the 850, replacing my 600. I’m just a mom trying to capture pole vaulting, volleyball and cheer pics of my daughter. I have read several of your articles but still would like to know the main and most important settings for capturing sharp action pics. Do you think these setting would also work on a D500 ? Just got the D850 and reading your guide I see you say that you assign the Auto ISO to the fron Fn button. I can’t find that possibility. Can you explain how it’s done? Just wanted to understand your thinking behind having file naming at the DEFAULT DSC. Surely it is better to rename to something more personal\? Also if you use more than one camera the same file name can appear multiple times and cause obvious confusion! Wow! Thank you so much for this concise and clear instruction on setting up my new D850. This is my first Nikon since my college days with a Nikon film camera. I have converted from shooting with Pentax for decades so I really appreciate how you explained everything so I get it the first time. I have been reading another book for hours only to become more confused. Your instructions led me directly to each function and I can now go out and give this new camera a try. Can’t thank you enough! I found the article about the recommended settings very helpful. Thank you. I just got the Nikon D850 recently and have been doing test shots using the recommended settings. They worked very well. I use Lightroom 5 to process my pictures. For some reason, Lightroom will not import the pictures from the Sony QXD memory cards. Is Lightroom not compatible with the specific memory card? What is my option to process the pictures? Are these settings specific to Nikon D850? Thank you very much for all your reviews. You are one of a few that I really trust. By the way I am new to Nikon, ex-Canon. I have much to learn. NOTE: dig in, there is tons of adjustment that could be made to differentiate the 4 modes, as an example in MANUAL (A-A) I have Fn1 as “Viewfinder Virtual Horizon” and in BIRDS (B-B) as “AF-area mode” (this settings are changed in the “Custom control assignment”, located conveniently right under “Photo shooting menu bank” and “Custom Setting bank”) WHEN YOU PRESS the (i) button. This other one could be someone’s else favorite: if say B-B=Events the SD card can be set to “Backup”, instead of “Overflow” and in other modes vice-versa. I JUST FOUND OUT: also the shooting Mode gets saved (M,A,S) on different modes. I have Manual on A-A=Manual and Aperture Priority (A) on B-B=Birds (not that I use it like that-trying different things). Great! I ALSO JUST FOUND OUT: the AF setting (AF-S or AF-C) can be customized, in my case I want the Macros mode (D-D) to be always AF-S (single autofocus) so making sure you are on D-D press the “menu” button and go to “Custom Setting Menu (pencil) and choose a=Autofocus, then a10 “Autofocus mode restrictions” and choose “AF-S”. CAUTION: YOU MUST make changes to the other 3 modes (A-A,B-B,C-C) press the “menu” button and go to “Custom Setting Menu (pencil) and choose a=Autofocus, then a10 “Autofocus mode restrictions” and choose “AF-C” OTHERWISE every time you go from D-D to another mode the last setting will prevail. EXAMPLE: if I have “MANUAL (A-A)” shutter speed at 125 and change it to 60, then move to another mode and come back to “MANUAL (A-A)” it will be at 60 (last change). Inconvenient but a small price to pay, the advantages are too many in comparison. I hope is clear enough, if any question or anybody knows of a better way please let me know. Forgive me if all the above is obvious, but it wasn’t for me. Thanks again! Great piece. I am still thoroughly confused about electronic front curtain, exposure delay, mirror up, etc. to achieve the sharpest photos for landscape. Any way you could break this down for me? I will be using a tripod and cable release and have a 16-35, 24-70, and 70-200. And how does work with exposure bracketing? Read Nasim’s articles on Electronic Front Curtain and Exposure Delay Mode (linked in this article). In the Exposure Delay Mode article he gives you a summary of your options: Exposure Delay Mode (1-3 seconds) + EFCS On + Quiet / Quiet Continuous / Mirror Up, or Live View + EFCS On + Mirror Up, or Live View + Silent Shutter Mode + Self-Timer (when subject is not moving). Yes! I don’t think the memory banks ‘remember’ the ISO, SS and A settings right? I did that with the U1 and U2 on the D600 and that was great! I would like to be able to with going from outside to inside of the house or from the sun into the shade… No you have a suggestion as to how I can do that with a D850? As I previously liked to read about the D810, it’s time to start with my new D850! Hi I have a Nikon 850 D that I’m traveling with and want to transfer my jpeg pics onto an external hard drive. Can I do it directly? At home I use a PC and NIkon transfer 2. Hi Nasim, I would like to know if the D 850 Spot Metering is limited to only the ‘Central Focus Point’ or does it work with any ‘Focus Point’ that I would engage to Focus, say anywhere near the edge etc.? I am using d850 from last one year but from last 10 days it is showing too much noise in every picture. I tried all settings but no effect. There is hardly i find sharpness and skin tone look non uniform with green patches. I don’t know what happen to it. Please guide. Nasim, great article. Much appreciated. I just learned an important fact about using flash with the D850. It won’t work with Silent Live View Photography turned on. Neither will Multiple Exposure or Long Exposure Noise Reduction. You can find the note about this on page 50 of the D850 manual. Thank you for publishing this information. It has been incredibly helpful. Dear Nasim Mansurov, I am photographer and live in Bulgaria. Would you mind to send you some of my photographs and to see your comments on them? Your opinion is very valuable for me. I follow you on your site and have subscription on your studies. I intend to send you 2-3 to max 4 photographs to hear your criticism. Why are all your camera settings just for Raw shooters? Some of us only shoot J-Peg so surely you should cover both?